Aluminium Bahrain (Alba), the Bahrain-based aluminium smelter, reported a net loss of BD17.5 million ($47 million) in the fourth quarter of 2018, down by 175 per cent versus a net income of BD23.4 million ($62.4 million) for the same period the previous year. Alba’s top-line and bottom-line for the fourth quarter of 2018 were impacted primarily by lower sales’ revenue and higher alumina prices, said a statement from the company. For the full-year of 2018, Alba’s top-line and bottom-line were attributable to higher sales volume, higher LME price (+7 per cent year-over-year (YoY)) and partially offset by higher alumina prices (+34 per cent YoY), it said. The company reported a net loss of BD17.5 million ($47 million) in the fourth quarter of 2018 versus a net income of BD23.4 million ($62.4 million) for the same period in 2017, down by 175 per cent YoY, it added. 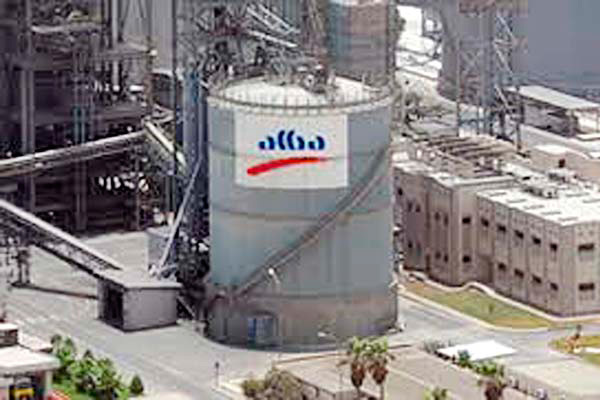 Alba said it had witnessed a gross loss of BD7.4 million ($20 million) versus a gross profit of BD37.3 million ($99.2 million) in the same quarter of 2017, down by 120 per cent YoY. With regards to total sales/revenues, the company reported BD211.5 million ($562.6 million) in Q4 2018, versus BD252.7 million ($672.2 million) in Q4 2017, a drop of 16 per cent YoY. The company reported a loss per share in the fourth quarter of 2018 fils 13 versus earnings per share fils 16 in Q4 2017. For the full-year of 2018, Alba’s net income stood at BD59.8 million ($158.9 million), down by 35 per cent YoY, compared to BD92.5 million ($245.9 million) in 2017, said a company statement. The company reported a gross profit of BD85.9 million ($228.6 million) versus BD134.6 million ($358.1 million) a decrease of 36 per cent YoY. Total sales/revenues reached BD911.3 million ($2.4 billion), up by 6 per cent YoY, compared to BD857.8 million ($2.3 billion) in 2017. Earnings per share were fils 42 versus fils 65 for 2017. Alba’s total assets as at December 31, 2018, reached BD2.208 billion ($5.874 billion), versus BD1.686 billion ($4.484.5 billion) as at December 31, 2017, up by 31 per cent YoY. Total shareholders’ equity as at December 31, 2018, stood at BD1.073 billion ($2.854 billion), up by 2 per cent YoY, versus BD1.052 billion ($2.798 billion) as at December 31, 2017. • World Consumption at ~66 million metric tonnes (mt) and up by 3 per cent year-over-year (YoY). Middle East and North Africa (Mena) demand rose by double digit (+13 per cent YoY) backed by major infrastructure spending in Saudi Arabia (+28 per cent YoY). Asian demand rose by 4 per cent YoY led by slow consumption in China (+4 per cent YoY). Europe consumption up by 3 per cent YoY supported by sound demand in the construction and automobile sectors while demand in North America rose by 2 per cent YoY mainly driven by the auto and aerospace sectors. • Global production almost flat at 1 per cent YoY (~64 million mt), thus leading the World Market into a deficit with China (-1.8 million MT) and in deficit w/o China (-2.2 million MT). Higher alumina and power prices drove Chinese smelters’ closure translating into flat production growth, while production in North America was down by 4 per cent YoY due to production cut in ABI smelter in Canada. • LME inventories at ~1.3 million mt in December up by (+16 per cent YoY). • Physical premiums prices continue to soften as US lifted the previous imposed sanctions on UC Rusal. Additionally, during 2018, Alba significantly improved its safety performance by recording a 50 per cent drop in lost time injuries YoY. The company also launched ‘Think Orange, Think Line 6 Safe Start-up’ Campaign to coincide with the commissioning of Line 6. • Amongst 1 million-club metric tonnes (MT) smelter, Alba’s production topped 1,011,101 MT (+3 per cent YoY) while sales volume reached 1,012,548 MT (+3.5 per cent YoY). • Value-added sales were at 60 per cent in 2018 (up from 57 per cent in 2017). • The achieved benefits of Titan – Phase III are $101/MT versus 2018 Target of $60/MT. The Line 6 Expansion Project milestones include: Alba Power Expansion Project achieves first fire milestone; Alba commissions Line 6 ahead of schedule; Alba starts Casthouse 4 - the biggest furnace in its history; Line 6 Smelter [overall progress > 80 per cent; Power expansion project [PS 5 and PDS overall progress: 83 per cent & 96 per cent. “In addition, our flagship Line 6 project was commissioned ahead of schedule on December 13,” he added. “Despite the impact of higher alumina prices, we were able to deliver solid results on the back of our Project Titan Cost Improvement Program. I would also like to thank all our employees and contractors for their contribution on safety during 2018,” he said. “In 2019, we will continue our focus to improve safety, production and cost along with our commitment to the safe start-up of Line 6,” he added.